Welcome back to my month of beauty post! Today I'm going to be talk about another Tarte Palette! 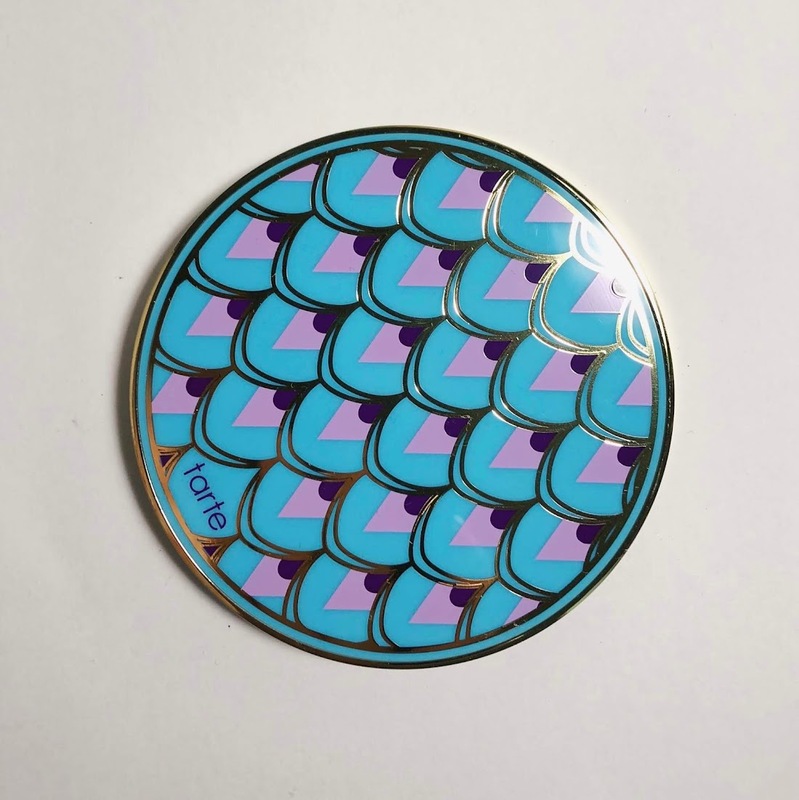 Yes, yes I know, I do like me a little Tarte you know? I actually got this as a birthday gift and I am so in love with it, read on to find out why! Everyone, please meet the Rainforest of the Sea ™ highlighting eyeshadow palette vol. III. First of all, how pretty is the packaging though? Who can say no to some beautiful mermaid patterns and the blue is such an amazing shade, it is so different and I love it! Plus I have a thing for round palettes from Tarte, this is currently my fourth one and they make me so happy whenever I get a glimpse of them when I'm looking through my make up drawer! 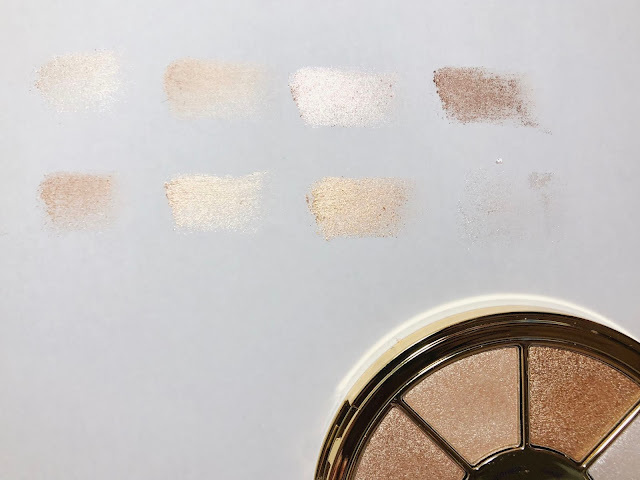 The design is outlined by gold lines which reflects beautifully in the light and as you know, all tarte palettes have a pretty good weight to them! This is how the palette looks! 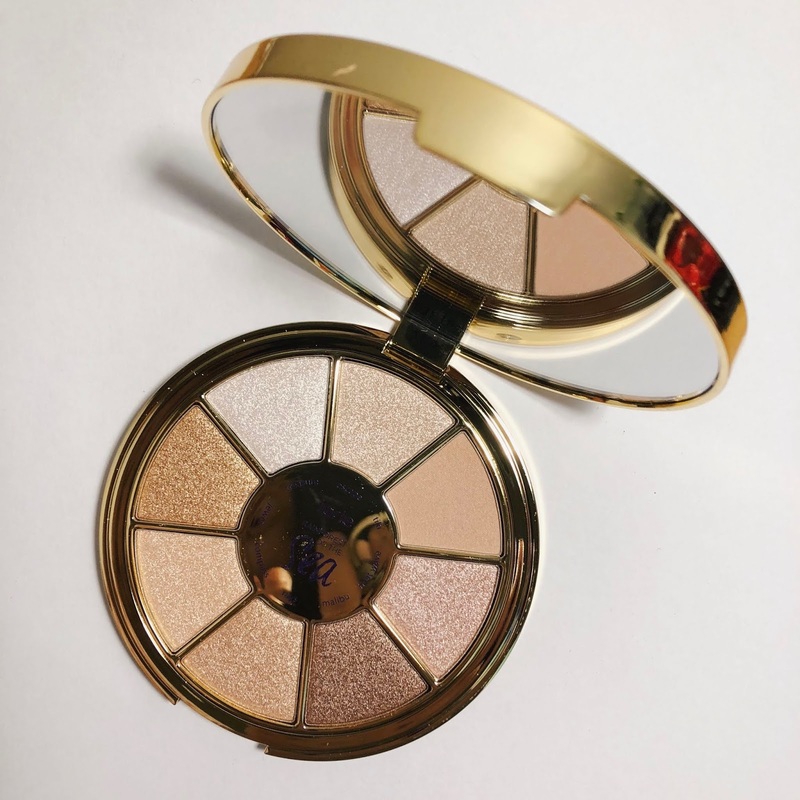 Like what the name says, it is a highlighting eye shadow palette which to me means that it is BOTH a highlight and an eyeshadow palette so hello duo-purpose product! Tarte's palettes are pigmented as you know but I feel that their shimmers have a better blend-ability than their mattes. This palette is a neutral one for sure which I think is great if you're going to use it as a highlighter on your face too. Most of them swatch really well and easily except the bottom right one which stuck more to my finger than the paper. It does have a bit of fall out in my opinion but for highlights it is quite common because of the glitter in the product. Personally I use this product when I need a pop of glitter on my inner corner or in the middle of the lid. I also use this for brow highlight and to layer my cheeks highlight so I use it more for highlighting than as a full eye shadow palette! So if you're a highlight fanatic like me and make it your life goal to let that astronaut in space notice you, this is an amazing addition to your collection!